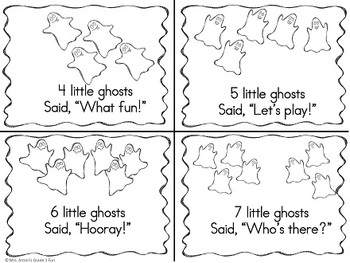 for early primary students for about Ghosts! 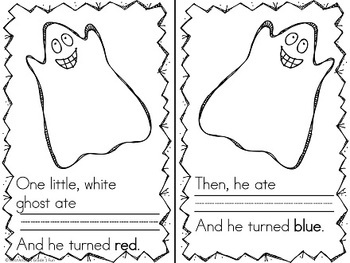 Completing a cloze activity to create a story about a hungry ghost whose color changes to match what he has eaten! Class book to share and a booklet for children to complete with their own illustrations and food choices! 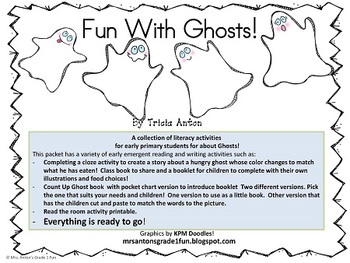 Count Up Ghost book with pocket chart version to introduce booklet Two different versions. Pick the one that suits your needs and children! One version to use as a little book. Other version that has the children cut and paste to match the words to the picture. 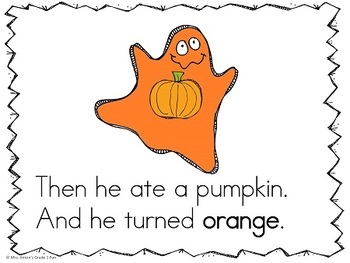 Read the room activity printable. Everything is ready to go!